Hi Stampers .... another Monday so that means another of our CCEE challenges. This week our challenge is a supply challenge. One of the challenges we do on a regular basis is the supply challenge. All of us in the group are sent the same supplies and we create our card/project around those supplies as per the instructions of the challenge hostess. 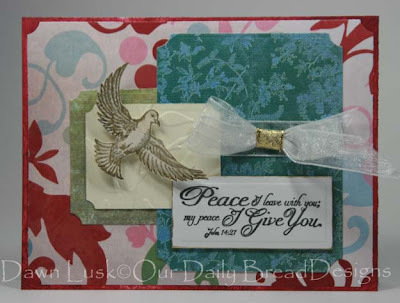 This month our supply challenge is brought to us by Our Daily Bread Designs. 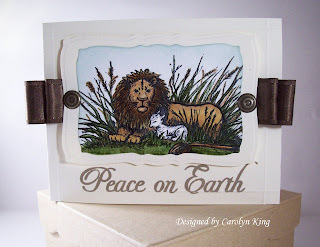 Kelley of Our Daily Bread sent all of the CCEE Stampers the 'Peace on Earth" stamp set. Thank you so much Kelley for this wonderful set ... I know we all enjoyed playing with the stamps in this set. So now it is your turn to play. Some of you may already have this set and if you do we would love for you to use it and play along. Or if you don't have this particular set you might have another set by Our Daily Bread that you could use instead. 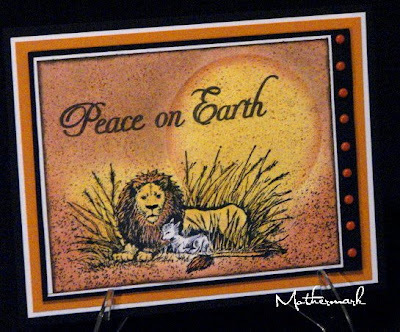 No stamps .... well then show us your version of Peace on Earth. 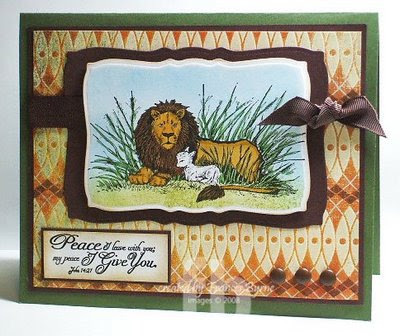 Whichever you decide .... don't forget to come back here and leave a comment on this post linking to your card so that we can check it out ... we love seeing your wonderful creations. If you post to a gallery like SCS, please use the keyword CCEEC. So now it is time to see what everyone came up with this week! Merry Christmas Kelley! And Thank You! You ladies did such an awesome job with this set!! I have this set, hope I have time to play along.. I was trying to follow your blog and it would not let me..How do I follow it. With these cards as samples, you can't help but want that stamp set! Great job, ladies! All of the cards are so beautiful!! Thanks so much! 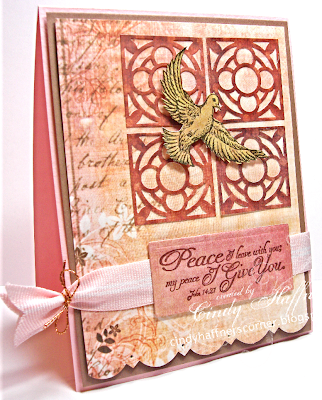 I was linked here through Our Daily Bread Designs, and oh my goodness, you all have done such an amazing job with this stamp set! I love the variety and the artistry! I love all of your cards!! Beautifully done and such variety! Fabulous cards ladies!!! I love this Set too, but don't won it...I used a different ODBD Set and hope you all like it??? ?